The Zieggy Tribe’s dedication to give back will be celebrated again this month in Wheeling, WV as employees participate in a team sport that dates back 2,300 years! 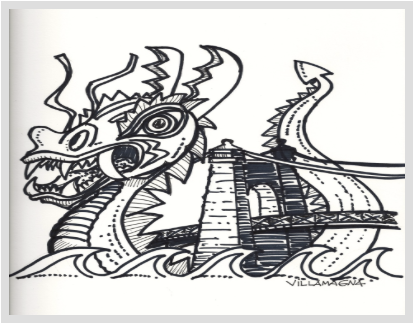 On August 26, the Monster Pop Raiders will represent the Ziegenfelder Company during the Wheeling Dragon Boat competition. Try to picture this boat! A drummer sits in the front of this 46-feet long boat and carries the rhythm of each stroke made by the 20 paddlers. Those paddlers sit side-by-side on benches followed by a steerer in the back who guides the traditional Hong Kong style dragon boat through the water. According to dragonboatwheeling.com, teamwork is the key to this 8th most popular sport in the world! The perfect team moves completely insync to the rhythm of the drum. All ages, skill levels and physiques participate in this team building event. This event matches up with the key values our Zieggy Tribe appreciates because all money raised will benefit the King’s Daughters Child Care Center.The King’s Daughters Child Care Center is a non-profit organization that provides affordable licensed child care to all families regardless of income level. The agency dates back to 1889 when the daycare center opened to help working women in Wheeling. Giving back to great causes is always something that we celebrate within our Zieggy Tribe. We hope you’ll celebrate along with us on August 26 during the Dragon Boat Race. We need your cheers to help propel the Monster Pop Raiders to victory with your contagious spirit! Go Zieggy Tribe!